Welcome To Jacksonville Website Design Co.
We ensure that your website and marketing campaign is effective, meet your expectations and budget, and deliver on time. Our services include website design, software development, e-commerce, motion graphics, print media, and NOW we are please to announce we offer search engine optimization services. We recently partnered up with Redline SEO Services out of Peoria, Arizona so we could be a full service online marketing company.They have proven to be one of the top seo companies according to Google and our clients. You can learn more about Redline SEO Services by viewing their Phoenix SEO Company video. Give us a call we would be happy to answer your questions and provide a free quote. Mediocre no longer works on the web. Professionalism, honesty, integrity, and authenticity is achieved through each and every detail of your website. We strive to build that trust for your business, and with your customers. It starts with straight forward and honest communication and ends with the delivery of a solid product and solid rankings that will last well after services are performed. If these values ring true for you and your business, you are at the right place. Jax Web Pros is a website design and full service internet marketing company. Our Phoenix SEO experts at Redline SEO Services and local Jacksonville professional web designers have years of experience with the web and what works. We know what works and we know how to build it. There are many options when picking a web marketing strategy; we can help you choose the right one for your business. To find out more about us and what we do take a look around our site or browse our projects. Thanks for visiting and we look forward to hearing from you! 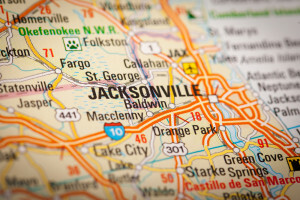 Copyright © 2019 Jacksonville Website Design Co.. Proudly powered by WordPress. Blackoot design by Iceable Themes.